Consumers agree that they deserve nondiscriminatory and unfettered access to the online content that they value. A February 2014 national survey by Consumer Reports found that broadband subscribers are opposed to ISPs interfering with their access to the Internet, with seventy-one percent of respondents saying that they would attempt to switch to a competing service provider if their provider blocked or slowed down popular services such as Netflix, Pandora, and Skype. Unfortunately, these are the exact types of threats that consumers now face after the federal court’s ruling in Verizon vs. FCC. The recently struck-down nondiscrimination and no-blocking rules leave ISPs free to experiment with anticompetitive and anti-consumer practices that are contrary to the longstanding principles underlying the Open Internet rules. 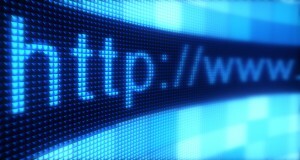 When originally proposed, the rules were prompted by concerns that Internet providers would use their dominance to censor or discriminate against services of competitors or non-affiliated content providers. Today, strong regulatory mechanisms continue to be necessary for affordable and accessible broadband, and to ensure that large incumbent providers do not degrade or obstruct access to content that consumers have paid for and rightly expect to receive.